This phenomenally beautiful piece is one in a million! 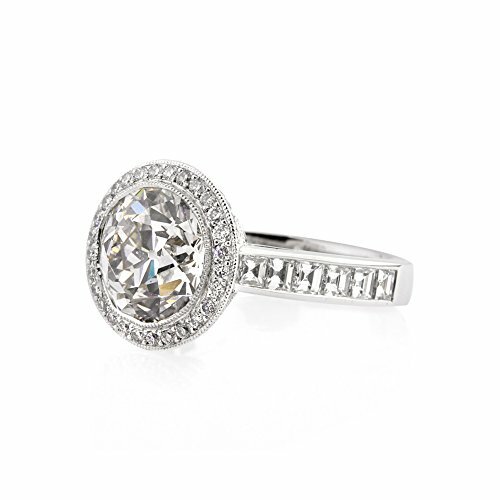 This exquisite 3.84ct old European round cut diamond is AGS certified at I-VS1. It faces up perfectly white and it is perfectly clear! The cut is truly breathtaking! 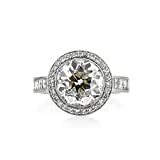 The old European cut diamonds are faceted with larger, more pronounced facets that reflect light in an astonishing manner. It is breathtaking! 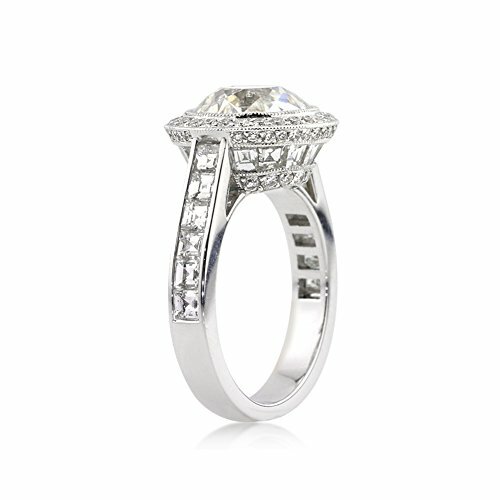 The spectacularly beautiful and very unique custom-made platinum setting showcases the diamond in a bezel setting and has a halo of round diamonds pave set around it, accenting it perfectly! 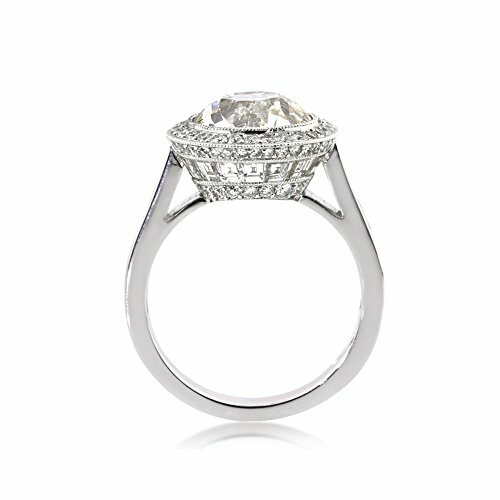 The shank is set with square step cut diamonds, also called carre cut diamonds in a channel setting. 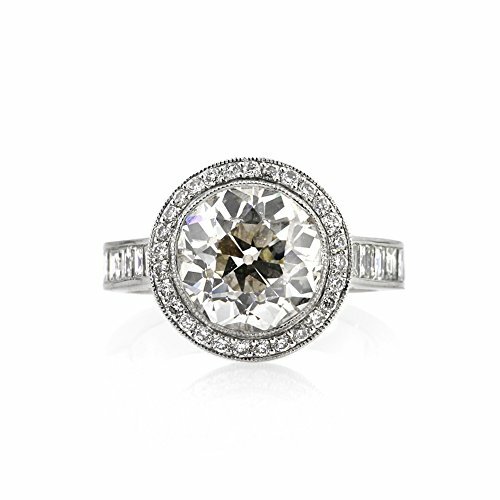 The astonishing center basket also features a row of carre cut diamonds channel set all the way around the basket with a row of round brilliant cut diamonds pave set on either side of it. The look is just awe inspiring! 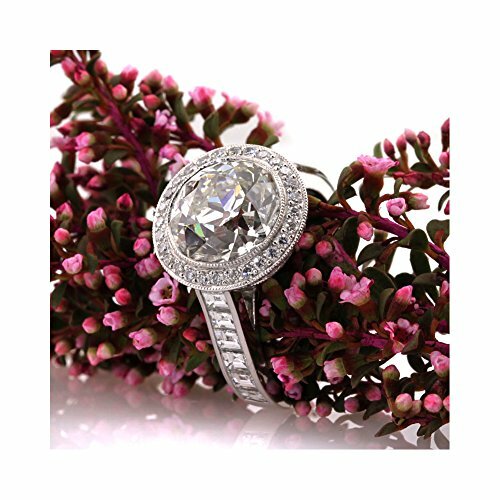 This one of a kind magnificent piece is sure to become a family heirloom you will cherish forever! Mesmerizing in every way!